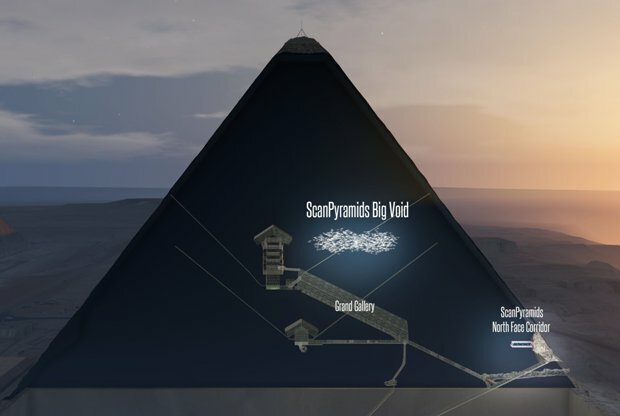 In an article published in the journal Nature on Thursday, an international team said the 30-meter void deep within the pyramid is situated above the structure’s Grand Gallery, and has a similar cross-section. Late last year, thermal scanning identified a major anomaly in the Great Pyramid with three adjacent stones at its base which registered higher temperatures than others. Here, at this important crossroads, it’s thought that they encountered and had sexual rendezvous with a different hominid species: the Neanderthals. Genomic evidence shows that this ancient interbreeding occurred, and Western Asia is the most likely spot where it happened. A new study explores the legacy of these interspecies trysts, with a focus on Western Asia, where the first relations may have occurred. The research, published on Oct. 13 in Genome Biology and Evolution, analyzes the genetic material of people living in the region today, identifying DNA sequences inherited from Neanderthals. The study focused on Western Asia. As part of the project, scientists analyzed 16 genomes belonging to people of Turkish descent. For example, one DNA sequence that originated from Neanderthals includes a genetic variant linked to celiac disease. Another includes a variant tied to a lowered risk for malaria. The bottom line? The relations that our ancestors had with Neanderthals tens of thousands of years ago may continue to exert an influence on our well-being today, Gokcumen says. He led the study with Taskent and Mehmet Somel, PhD, from the Middle East Technical University in Ankara, Turkey. Co-authors included Nursen Duha Alioglu and Evrim Fer from the Middle East Technical University, and Handan Melike Donertas from the Middle East Technical University and European Bioinformatics Institute. In addition to exploring the specific functions of genetic material that the Turkish population inherited from Neanderthals, the study also examined the Neanderthals’ influence on human populations in Western Asia more broadly. The region is thought to be where modern humans first interbred with their Neanderthal kin. And yet, research has shown that people living in this area today have relatively little Neanderthal DNA compared to people in other parts of the world. The new study supports this finding. The research team analyzed genomic data from dozens of Western Asian individuals, and observed that, on average, with a few exceptions, these populations carry less Neanderthal DNA than Europeans, Central Asians and East Asians. The differences in Neanderthal ancestry between Western Asian and other populations may be due to the region’s unique position in human history, Taskent says. Tens of thousands of years ago, when modern humans first left Africa to populate the rest of the world, Western Asia was the first stopping point — the only land-based route for accessing the rest of Eurasia. People who live in Europe, Central Asia and East Asia today may be descended from human populations that treated Western Asia as a waystation: These human populations lived there temporarily, mating with the region’s Neanderthals before moving on to other destinations. In contrast, the ancestors of present-day Western Asians had a deeper connection to the region: They settled in Western Asia instead of just passing through. These ancient humans had contact with Neanderthals, too, but two factors may have diluted the Neanderthals’ influence. The first was a constant influx of genetic material from ancient Africans, who had no Neanderthal DNA and who continued to pass through Western Asia for thousands of years as human societies grew in Europe and Asia. The second was the hypothesized presence of a “basal Eurasian” population — a population of Western Asians that never interbred with Neanderthals. 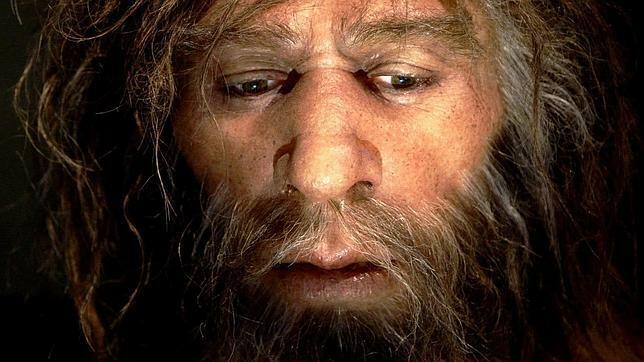 “Both of these factors may have helped to limit the amount of Neanderthal DNA that was retained by human populations in the region,” Taskent says. 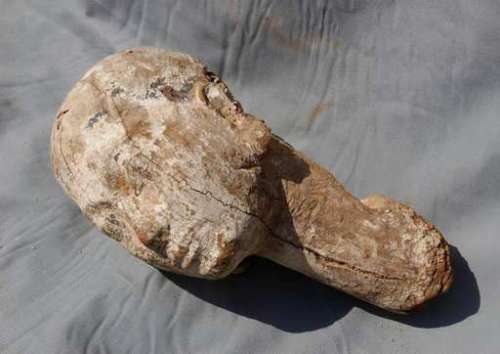 Egypt says archaeologists have discovered the head of a wooden statue, likely belonging to a female regent who ruled the country more than 4,000 years ago. The uncovered head is believed to depict Ankhesenpepi II, the mother of King Pepi II of the 6th dynasty who ascended to the throne at the age of six. She ruled Egypt as regent during the early years of his reign. Earlier in October, archaeologists at the same dig uncovered part of an obelisk made of pink granite that belongs to the same dynasty. Researchers believe they have discovered a rock carving in New Mexico’s Chaco Canyon that represents a total eclipse that occurred more than 900 years ago. 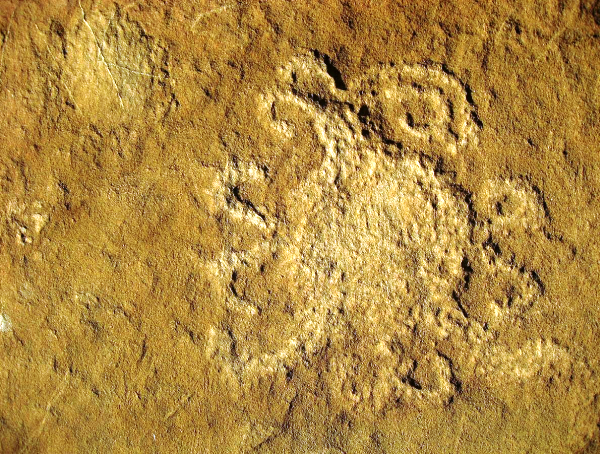 The engraving, known as a petroglyph, shows a circle with curved, intricate swirling emissions issuing from it. Around the circle, believed to depict the Sun, human figures can be seen in different positions and engaged in different activities. 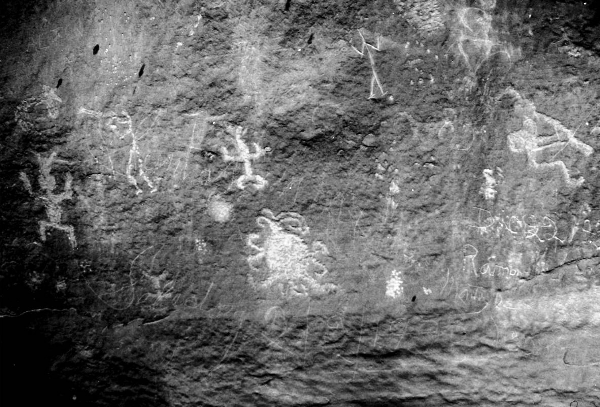 University of Colorado Boulder Professor J. McKim Malville has said the circle shown in the rock art represents the Sun’s outer atmosphere, known as its corona, with the tangled, looped protrusions on its edges dating it to a total eclipse that occurred in the region on July 11, 1097. Malville made the observation Wednesday to mark the upcoming total solar eclipse on August 21 that will be visible across a large swathe of the U.S.
Malville, who is attached to Boulder’s astrophysical and planetary sciences department, and José Vaquero of the University of Extremadura in Cáceres, Spain were able to date the carving on the basis of the loops that they believed to be a coronal mass ejections (CME). These CMEs are eruptions that can blow billions of tons of plasma from the Sun at several million miles per hour during active solar periods. “It turns out the Sun was in a period of very high solar activity at that time, consistent with an active corona and CMEs,” the pair said in their 2014 paper on the rock art in the Journal of Mediterranean Archaeology and Archaeometry. 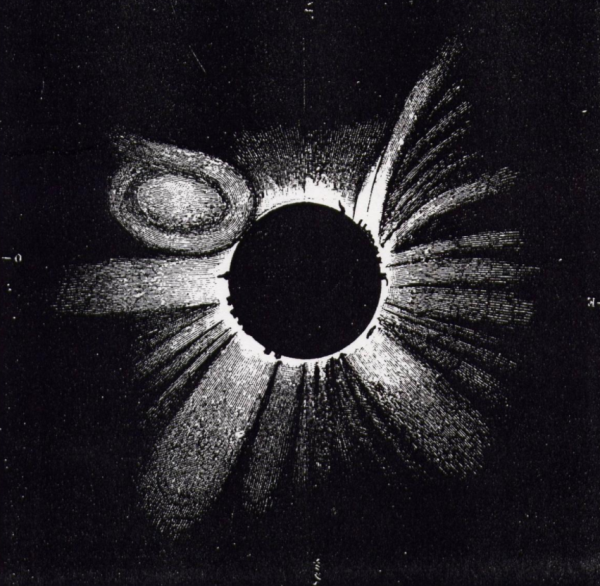 The two used several sources to assess the activity of the Sun around the time of the 1097 eclipse. The data they gathered included information ancient tree rings from which they could detect the activity of cosmic rays. 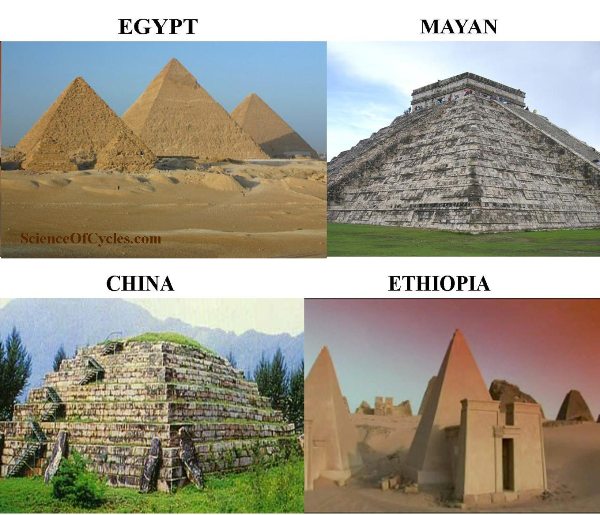 They also used records of naked-eye observations of sunspots, which go back several thousand years in China. A third method involved looking at historical data compiled by northern Europeans on the annual number of so-called “auroral nights,” when the northern lights were visible, an indication of intense solar activity. The free-standing rock hosting the possible eclipse petroglyph, known as Piedra del Sol, also has a large spiral petroglyph on its east side that marks Sunrise 15 to 17 days before the June solstice. A triangular shadow cast by a large rock on the horizon crosses the center of the spiral at that time. It may have been used to start a countdown to the summer solstice and related festivities. The rock carving was first discovered in 1992 by Malville and then-Fort Lewis Professor James Judge and was carved by early Pueblo people. 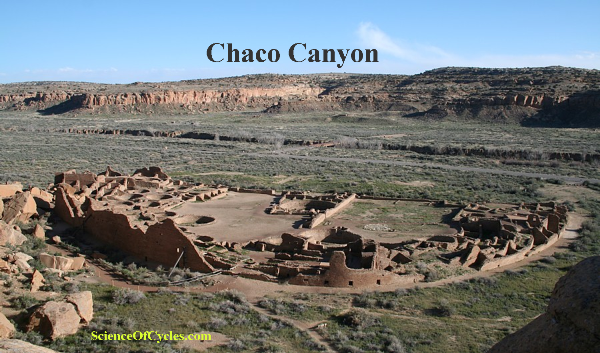 Chaco Canyon, a centre of Pueblo culture in the Southwest a thousand years ago, is believed by archeologists to have been populated by several thousand people and held political sway over an area twice the size of Ohio. New research methods and technologies are able to shed light on climate patterns that took place thousands of years ago, giving us a new perspective on how cultures of the time coped with variable and changing environments. A new article in the February issue of Current Anthropology explores the dynamics of adaptation and resilience in the face of a diverse and varied environmental context, using the case study of South Asia’s Indus Civilization (c.3000-1300 BC). Integrating research carried out as part of the Land, Water and Settlement project—part of an ongoing collaboration between the University of Cambridge and Banaras Hindu University—that worked in northwest India between 2007 and 2014, the article looks at how Indus populations in north-west India interacted with their environment, and considers how that environment changed during periods of climate change. Lead author, Dr. Cameron Petrie of the Division of Archaeology, University of Cambridge notes that “for most ancient complex societies, water was a critical factor, and the availability of water and the way that it was managed and used provide critical insight into human adaptation and the resilience of subsistence practices”. Most early complex societies developed in regions where the climatic parameters faced by ancient subsistence farmers were varied, but not especially diverse. 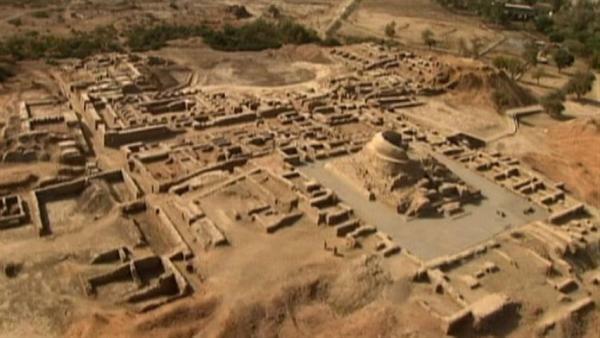 The Indus Civilization developed in a specific environmental context, where the winter and summer rainfall systems overlapped. 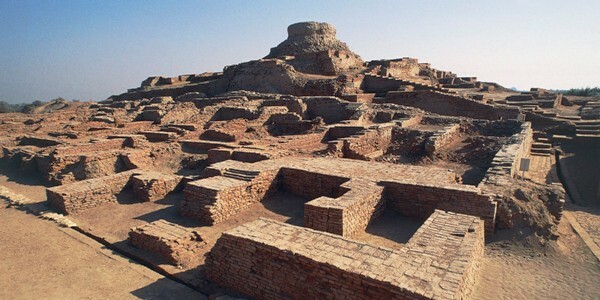 There is now evidence to show that this region was subject to climate change during the period when the Indus Civilization was at its height (c.2500-1900 BC). The Indus Civilization therefore provides a unique opportunity to understand how an ancient society coped with diverse and varied ecologies and change in the fundamental and underlying environmental parameters. In the early Holocene, the Indus Civilization was situated in proximity to Kotla Dahar, a deep lake, implying regular and consistent rainfall input to offset evaporation, which given its location, would have been primarily monsoonal. The lake showed evidence for two dramatic decreases in monsoon rainfall and a progressive lowering of the lake level. The second of these shows Kotla Dahar becoming completely ephemeral ca. 2200-2000 BC as a result of an abrupt weakening of the monsoon, and the weakening of the monsoon is visible in speleothem records in Oman and northeast India. The proximity of the Kotla Dahar record to the area occupied by Indus populations shows that climate must be formally considered as a contributing parameter in the process of Indus deurbanization, at least in the context of the plains of northwest India. It has long been hypothesized that there was variation in the subsistence practices used by Indus populations and this fits with the theme of coping with diverse environments. Petrie comments that “we argue that rather than being forced to intensify or diversify subsistence practices in response to climatic change, we have evidence for the use of millet, rice, and tropical pulses in the pre-urban and urban phases of the Indus Civilization. This evidence suggests that local Indus populations were already well adapted to living in varied and variable environmental conditions before the development of urban centers. It is also possible that these adaptations were beneficial when these populations were faced with changes to the local environment that were probably beyond the range of variation that they typically encountered”. 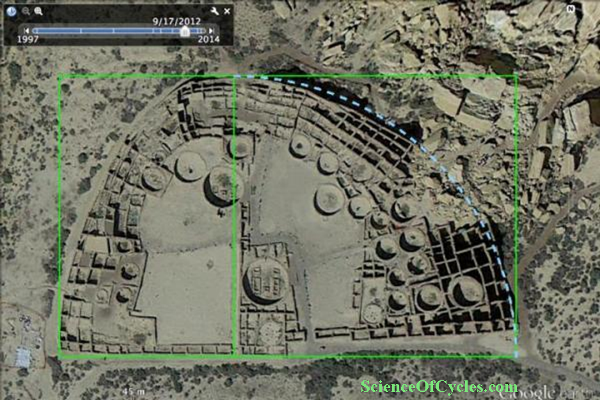 How Did Ancient Pueblo’s (Anasazi) Possess Geometric Precision? The ancient Pueblo people “the Anasazi “, of the Southwestern United States had no written language or numerical system, but the complexities of their architectural feats suggest they understood advanced geometry. In a new study, published this week in the Journal of Archaeological Science: Reports, scientists at Arizona State University detailed the proof of the Pueblo people’s geometric sophistication. The golden rectangle and its eye-pleasing proportions is often employed in the arrangement of pieces of Western art — the positioning of figures and shapes within a painting, drawing or print. Mathematicians in ancient Greece and Egypt described the unique shape and its aesthetic qualities. Evidence of the golden rectangle has also been found among Mayan art and architecture. But unlike the Egyptians, Greeks and Mayans, the Pueblos had no written words or numbers with which to make notes — no guides for building perfectly proportioned multi-room houses and multi-building complexes. I know your first instinct is to say something like “duh”. I would certainly support you in this analysis. However, setting this obvious notion aside, this new finding does attribute a great amount of credibility to the scientific discipline of cycles; furthermore, it provides a greater comprehension in regards to ‘time-linked’ measurements such as short-term, medium-term and long-term cycles. 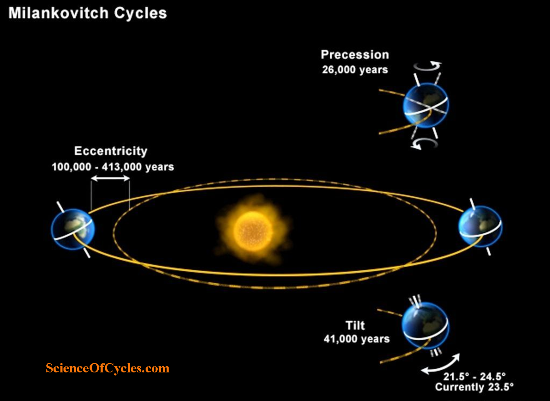 Examples would be the 11 year sunspot cycle, the 26,000 year precession cycle, and the Milankovitch or Eccentricity cycle with a 100,000 and 410,000 cycle. 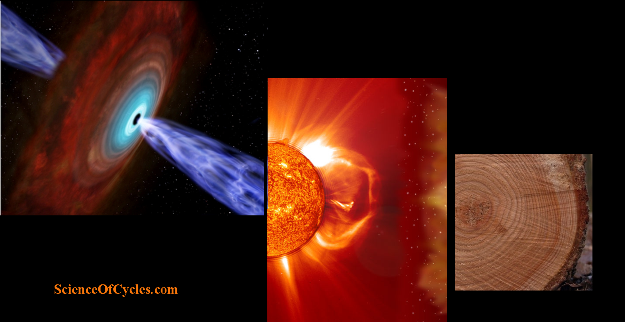 In a new study published in the scientific journal Geology, researchers Ludwig Luthardt, professor at the Natural History Museum in Chemnitz, and Ronald Rößler, professor at Freiberg University of Mining and Technology, describe how they found evidence in ancient tree rings, identifying a solar sunspot cycle that occurred millions of years ago and compared it to recent cycles . “The median tree-ring curve of that period revealed a 10.62 year cycle, the duration of which is almost identical to the modern 11 year solar cycle we see today,” said Luthardt. 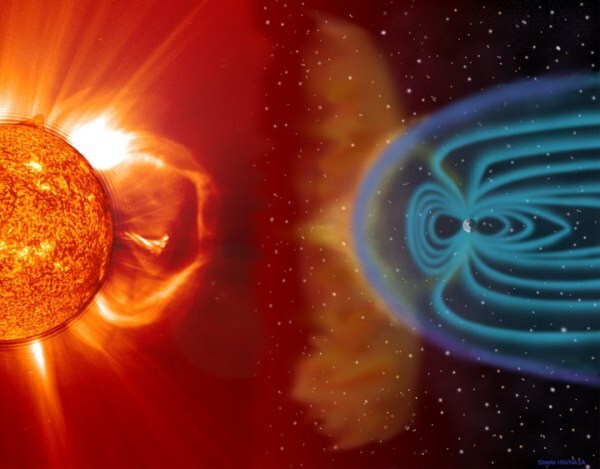 Sunspot activity swings between a period known as ‘solar maximum’, at which time an enormous amount of radiation is released through the development of powerful streams of charged particles which is released in various forms such as solar flares, coronal mass ejections, coronal holes, and purging filaments. When a percentage of these particles penetrate the Earth’s magnetic field and continue into the upper and lower atmosphere, the measured effects are captured in assorted forms of Flora such as tree-rings, lake bottom sediment, and deep ice cores. Such high-resolution records are commonly used for reconstructing climatic variations in the younger geological history. The team discovered large wooded tree trunks from the early Permian Fossil Forest of Chemnitz, southeast Germany. This region had been covered by lava during a volcanic eruption during the Permian period, offering a historical record of Sun activity. “For the first time we applied dendrochronological methods (tree-ring dating) – to Paleozoic trees in order to recognize annual variations; says Rößler. The team found that sunspot activity recorded 300 million years ago as reflected in tree ring archived analysis, matches almost identically with today’s caused fluctuations of cosmic radiation input to the atmosphere.